Before :- S. Saghir Ahmad and D.P. Wadhwa, JJ. For the Petitioner :- Ms. Amita Gupta, Advocate. For the Respondents :- Mr. K.K. Rai, Advocate. "Whether the female workers working on Muster Roll should be given any maternity benefit ? If so, what directions are necessary in this regard ?" 2. The Union filed a statement of claim in which it was stated that Municipal Corporation of Delhi employs a large number of persons including female workers on muster roll and they are made to work in that capacity for years together though they are recruited against the work of perennial nature. It was further stated that the nature of duties and responsibilities performed and undertaken by the muster roll employees are the same as those of the regular employees. The women employed on muster roll, who have been working with the Municipal Corporation of Delhi for years together, have to work very hard in construction projects and maintenance of roads including the work of digging trenches etc. but the Corporation does not grant any maternity benefit to female workers who are required to work even during the period of mature pregnancy or soon after the delivery of child. It was pleaded that the female workers required the same maternity benefits as were enjoyed by regular female workers under the Maternity Benefit Act, 1961. The denial of these benefits exhibits a negative attitude of the Corporation in respect of a humane problem. 3. The Corporation in their written statement, filed before the Industrial Tribunal, pleaded that the provisions under the Maternity Benefit Act, 1961 or Central Civil Service (Leave) Rules were not applicable to the female workers, engaged on muster roll, as they were all engaged only on daily wages. It was also contended that they were not entitled to any benefit under the Employees' State Insurance Act, 1948. It was for these reasons that the Corporation contended that the demand of the female workers (muster roll) for grant of maternity leave was liable to be rejected. 4. The Tribunal, by its Award dated 2nd of April, 1996, allowed the claim of the female workers (muster roll) and directed the Corporation to extend the benefits under the Maternity Benefit Act, 1961 to muster roll femable workers who were in the continuous service of the Corporation for three years or more. The Corporation challenged this judgment in a Writ Petition, before the Delhi High Court which was dismissed by the Single Judge on January 7, 1997. The Letters Patent Appeal (LPA No. 64 of 1998), filed thereafter by the Corporation was dismissed by the Division Bench on March 9, 1998 on the ground of delay. 5. Learned counsel for the Corporation contended that the Division Bench was not justified in rejecting the appeal on the ground of delay which ought to have been condoned as there was only a 33 days' delay in filing the Letters Patent Appeal which was caused on account of the opinion of different Departments which had to be obtained before filing the Letters Patent Appeal. Since the High Court has already exercised its discretion and has not condoned the delay in filing the appeal, we find it difficult to enter into that controversy and examine the reasons why the appeal was filed before the Division Bench after the expiry of the period of limitation. However, since the question involved in this case is important, we deem it fit to express ourselves on the merits of the matter as we have heard the counsel for the Corporation on merits also. "(3) Nothing in this Article shall prevent the State from making any special provision for women and children." 7. In Yusuf Abdul Aziz v. State of Bombay, AIR 1954 SC 321 : 1954 SCR 930, it was held that Article 15(3) applies both to existing and future laws. 8. From Part III, we may shift to Part IV of the Constitution containing Directive Principles of State Policy. Article 38 provides that the State shall strive to promote the welfare of the people by securing and protecting, as effectively as it may, a social order in which justice, social, economic and political shall inform all the institutions of the national life. Sub-clause (2) of this Article mandates that the State shall strive to minimise the inequalities in income and endeavour to eliminate inequalities in status, facilities and opportunities. "42. Provision for just and humane conditions of work and maternity relief - The State shall make provision for securing just and humane conditions of work and for maternity relief. 43. Living wage, etc., for workers - The State shall endeavour to secure, by suitable legislation or economic organisation or in any other way, to all workers, agricultural, industrial or otherwise, work, a living wage, conditions of work ensuring a decent standard of life and full enjoyment of leisure and social and cultural opportunities and, in particular, the State shall endeavour to promote cottage industries on an individual or co-operative basis in rural areas." 9. It is in the background of the provisions contained in Article 39, specially in Articles 42 and 43, that the claim of the respondents for maternity benefit and the action of the petitioner in denying that benefit to its women employees has to be scrutinised so as to determine whether the denial of maternity benefit by the petitioner is justified in law or not. 10. Since Article 42 specifically speaks of "just and humane conditions of work" and "maternity relief", the validity of an executive or administrative action in denying maternity benefit has to be examined on the anvil of Article 42 which, though not enforceable at law, is nevertheless available for determining the legal efficacy of the action complained of. 11. The Parliament has already made the Maternity Benefit Act, 1961. It is not disputed that the benefits available under this Act have been made available to a class of employees of the petitioner-Corporation. But the benefit is not being made available to the women employees engaged on muster-roll, on the ground that they are not regular employees of the Corporation. As we shall presently see, there is no justification for denying the benefit of this Act to casual workers or workers employed on daily wage basis. "Wages means all remuneration paid or payable in cash to a woman". "5. Right to payment of maternity benefit - (1) Subject to the provisions of this Act, every woman shall be entitled to, and her employer shall be liable for, the payment of maternity benefit at the rate of the average daily wage for the period of her actual absence, that is to say, the period immediately preceding the day of her delivery, the actual day of her delivery and any period immediately following that day. Explanation - For the purpose of this sub-section, the average daily wage means the average of the woman's wages payable to her for the days on which she has worked during the period of three calendar months immediately preceding the date from which she absents herself on account of maternity, the minimum rates of wages fixed or revised under the Minimum Wages Act, 1948 or ten rupees, whichever is the highest. Explanation - For the purpose of calculating under this sub-section the days on which a woman has actually worked in the establishment, the days for which she have been laid off or was on holidays declared under any law for the time being in force to be holidays with wages during the period of twelve months immediately proceeding the date of her expected delivery shall be taken into account. (3) The maximum period for which any woman shall be entitled to maternity benefit shall be twelve weeks of which not more than six weeks shall precede the date of her expected delivery. "This clause entitles a woman to receive maternity benefit at the rate of her average daily wage subject to a minimum of seventy-five naye paise per day for a maximum period of 12 weeks, including six weeks following the day of her delivery. The qualifying condition is employment for 240 days in the 12 months immediately preceding the expected date of delivery, but there is no such restriction as to entitlement in the case of an immigrant woman who is pregnant when she first arrives in Assam." "The Committee are of the view that the qualifying condition of employment for a period of 240 days during the 12 months immediately preceding the expected date of delivery to entitle a worker to maternity benefit is too rigorous and the period should be reduced to 160 actual working days inclusive of the period of `lay-off', if any." 15. Section 5A provides that if the Employees' State Insurance Act, 1948 is applied or becomes applicable to the establishment where a woman is employed, such woman shall continue to be entitled to receive the maternity benefits under this Act so long as she does not become qualified to claim maternity benefits under Section 50 of that Act. "Maternity benefit - The qualification of an insured woman to claim maternity benefit, the conditions subject to which such benefit may be given, the rates and period thereof shall be such as may be prescribed by the Central Government." 17. Section 5B of the Maternity Act speaks of payment of maternity benefit in certain cases. Section 6 provides notice of claim for maternity benefit and payment thereof. Section 8 provides that every woman entitled to maternity benefit under this Act shall also be entitled to receive from her employer a medical bonus of 250 rupees, if no pre-natal confinement or post-natal care is provided by the employer free of charge. "11. Nursing breaks - Every woman delivered of a child who returns to duty after such delivery shall, in addition to the interval for rest allowed to her, be allowed in the course of her daily work two breaks of the prescribed duration for nursing the child until the child attains the age of fifteen months." "12. Dismissal during absence or pregnancy - (1) When a woman absents herself from work in accordance with the provisions of this Act, it shall be unlawful for her employer to discharge or dismiss her during or on account of such absence or to give notice of discharge or dismissal on such a day that the notice will expire during such absence, or to vary to her disadvantage any of the conditions of her service. (b) Any woman deprived of maternity benefit or medical bonus, or both, or discharged or dismissed during or on account of her absence from work in accordance with the provisions of this Act, may, within sixty days from the date on which order of such deprivation or discharge or dismissal is communicated to her, appeal to such authority as may be prescribed, and the decision of that authority on such appeal, whether the woman should or should not be deprived of maternity benefit or medical bonus, or both, or discharged or dismissed shall be final. (c) Nothing contained in this sub-section shall affect the provisions contained in sub-section (1)." 20. This Section prohibits dismissal of a woman employee during or on account of her absence on maternity leave. It ensures that the conditions of her service would not be varied to her disadvantage during her absence. Provided that the Court may, for sufficient reasons to be recorded in writing, impose a sentence of imprisonment for a lesser term of fine only in lieu of imprisonment. Provided that where the contravention is of any provision regarding maternity benefit or regarding payment of any other amount and such maternity benefit or amount has not already been recovered, the Court shall, in addition, recover such maternity benefit or amount as if it were a fine and pay the same to the person entitled thereto." "23. Cognizance of offences - (1) Any aggrieved woman, an officer-bearer of a trade union registered under the Trade Unions Act, 1926 of which such woman is a member or a voluntary organistion registered under the Societies Registration Act, 1860 or an Inspector, may file a complaint regarding the commission of an offence under this Act in any Court of competent jurisdiction and no such complaint shall be filed after the expiry of one year from the date on which the offence is alleged to have been committed. (2) No Court inferior to that of a Metropolitan Magistrate or a Magistrate of the first class shall try any offence under this Act." 23. Section 27 deals with the effect of laws and agreements inconsistent with this Act. Sub-section (1) provides that the provisions of this Act shall have effect notwithstanding anything inconsistent therewith contained in any other law or in the terms of any award, agreement or contract of service. Sub- section (2) of this Section, however, provides that it will be open to a woman to enter into an agreement with her employer for granting her rights or privileges in respect of any matter which are more favourable to her than those she would be entitled to under this Act. 24. The provisions of the Act which have been set out above would indicate that they are wholly in consonance with the Directive Principles of State Policy, as set out in Article 39 and in other Articles, specially Article 42. A woman employee, at the time of advanced pregnancy cannot be compelled to undertake hard labour as it would be detrimental to her health and also to the health of the foetus. It is for this reason that it is provided in the Act that she would be entitled to maternity leave for certain periods prior to and after delivery. We have scanned the different provisions of the Act, but we do not find anything contained in the Act which entitles only regular women employees to the benefit of maternity leave and not to those who are engaged on casual basis or on muster-roll on daily wage basis. "Provided that the State Government may, with the approval of the Central Government, after giving not less than two months' notice of its intention of so doing, by notification in the Official Gazette, declare that all or any of the provisions of this Act shall apply also to any other establishment or class of establishments, industrial, commercial, agricultural or otherwise." 26. It consequently issued a direction to the management of the Municipal Corporation, Delhi to extend the benefits of Maternity Benefit Act, 1961 to such muster roll female employees who were in continuous service of the management for three years or more and who fulfilled the conditions set out in Section 5 of the Act. (i) Whether the female workers working on muster roll should be given any maternity benefit ? (ii) If so, what directions are necessary in this regard? The award made by the Industrial Tribunal completely answers the question in both the respects. "Indeed the concept of social justice has now become such an integral part of industrial law that it would be idle for any party to suggest that industrial adjudication can or should ignore the claims of social justice in dealing with industrial disputes. The concept of social justice is not narrow, one-sided, or pedantic, and is not confined to industrial adjudication alone. Its sweep is comprehensive. It is founded on the basic ideal of social-economic equality and its aim is to assist the removal of socio-economic disparities and inequalities; nevertheless, in dealing with industrial matters, it does not adopt a doctrinaire approach and refuses to yield blindly to abstract notions, but adopts a realistic and pragmatic approach." 29. A just social order can be achieved only when inequalities are obliterated and everyone is provided what is legally due. Women who constitute almost half of the segment of our society have to be honoured and treated with dignity at places where they work to earn their livelihood. Whatever be the nature of their duties, their avocation and the place where they work; they must be provided all the facilities to which they are entitled. To become a mother is the most natural phenomena in the life of a woman. Whatever is needed to facilitate the birth of child to a woman who is in service, the employer has to be considerate and sympathetic towards her and must realise the physical difficulties which a working woman would face in performing her duties at the work place while carrying a baby in the womb or while rearing up the child after birth. The Maternity Benefit Act, 1961 aims to provide all these facilities to a working woman in a dignified manner so that she may overcome the state of motherhood honourably, peaceably, undeterred by the fear of being vicitimised for forced absence during the pre or post-natal period. 30. Next it was contended that the benefits contemplated by the Maternity Benefit Act, 1961 can be extended only to workwomen in an `industry' and not to the muster roll women employees of the Municipal Corporation. This is too stale an argument to be heard. Learned counsel also forgets that Municipal Corporation was treated to be an `industry' and, therefore, a reference was made to the Industrial Tribunal, which answered the reference against the Corporation, and it is this matter which is being agitated before us. 31. Now, it is to be remembered that the Municipal Corporations or Boards have already been held to be "industry" within the meaning of "Industrial Disputes Act". In Udge Budge Municipality v. Sri P.R. Mukherjee, 1953(1) LLJ 195 (SC), it was observed that the Municipal activity would fall within the expression "undertaking" and as such would be an industry. The decision was followed in Baroda Borough Municipality v. Its Workmen, 1957(1) LLJ 8 (SC), in which the Court observed that those branches of work of the Municipalities which could be regarded as analogous to the carrying-on of a trade or business, would be "industry" and the dispute between the Municipalities and their employees would be treated as an "industrial disputes". This view was reiterated in the Corporation of the City of Nagpur v. Its Employees and others, 1960(1) LLJ 523 (SC). In this case, various Departments of the Municipality were considered and certain Departments including General Administration Department and Education Department were held to be covered within the meaning of "industry". The Punjab and Haryana High Court in Municipal Committee, Bhiwani v. Padam Singh and others, 1973 Labour and Industrial Cases 1512, held that fire- brigade service, maintained by Municipal Committee, was an "industry". But a contrary view was taken by the Bombay High Court in Administrator of the City of Nagpur Municipal Corporation v. Labour Court, Nagpur, 1967 Labour and Industrial Cases 107, which held that the fire-brigade service, maintained by the Municipal Corporation, was not an "industry". We are not, in this case, attempting to resolve the conflict between the Punjab and Haryana High Court and the Bombay High Court but what we intend to emphasise is that this Court has already held some of the Departments of the Municipal Corporation to be an "industry". The High Courts have also held the running of dispensary as also sanitary and conservancy activities to be an "industry". (See. Sirur Municipality v. Its Workmen, 1960(2) LLJ 657; Municipal Council, Washim v. Manguji Zenduji Dhamane, 1978 Labour and Industrial Case 881). The Andhra Pradesh High Court in Rajendranagar Municipality v. B.V. Perraju, 1995 Labour and Industrial Cases 2102, has held that storing and distribution of water was a systematic activity of the Corporation which would fall within the definition of "industry"
32. 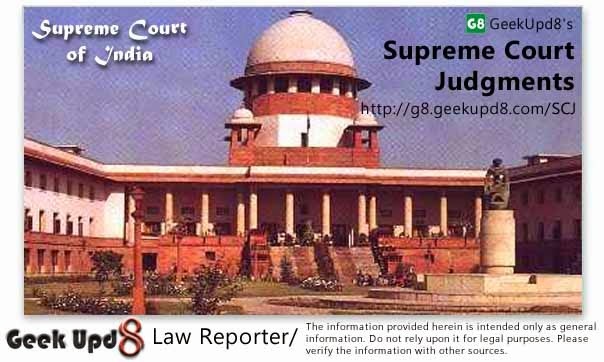 Taking into consideration the enunciation of law as settled by this Court as also the High Court in various decisions referred to above, the activity of the Delhi Municipal Corporation by which construction work is undertaken or roads are laid or repaired or trenches are dug would fall within the definition of "industry". The workmen or, for that matter, those employed on muster roll for carrying on these activities would, therefore, be "workmen" and the dispute between them and the Corporation would have to be tackled as an industrial dispute in the light of various statutory provisions of the Industrial Law, one of which is the Maternity Benefit Act, 1961. This is the domestic scenario. Internationally, the scenario is not different. (e) The right to social security, particularly in cases of retirement, unemployment, sickness, invalidity and old age and other incapacity to work, as well as the right to paid leave. (f) The right to protection of health and to safety in working contitions, including the safeguarding of the function of reproduction. 3. Protective legislation relating to matters covered in this Article shall be reviewed periodically in the light of scientific and technological knowledge and shall be revised, repealed or extended as necessary." 34. These principles which are contained in Article 11, reproduced above, have to be read into the contract of service between Municipal Corporation of Delhi and the women employees (muster roll); and so read these employees immediately become entitled to all the benefits conceived under the Maternity Benefit Act, 1961. We conclude our discussion by providing that the direction issued by the Industrial Tribunal shall be complied with by the Municipal Corporation of Delhi by approaching the State Government as also the Central Government for issuing necessary Notification under the Proviso to Sub-section (1) of Section 2 of the Maternity Benefit Act, 1961, if it has not already been issued. In the meantime, the benefits under the Act shall be provided to the women (muster roll) employees of the Corporation who have been working with them on daily wages. For the reasons stated above, the Special Leave Petition is dismissed.